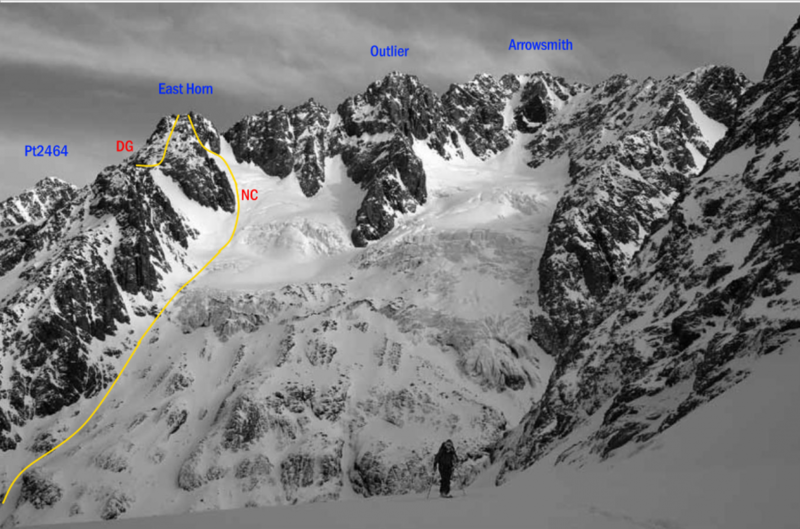 From the upper Ashburton Glacier follow a steep, narrow couloir (subject to rock fall) to a col just west of East Horn’s summit. If conditions dictate, move on to a rock rib to the right as the couloir runs out. The summit is a short scramble along the ridge. Climb the Douglas Glacier to a small col overlooking the South Cameron Glacier. From here climb the East Face on loose rock. The final section is steep and exposed. From the South Cameron névé, climb a col of rotten rock just west of the summit and scramble the last few metres to the top.